Formed in 1999 by Jaire Pätäri, Finland’s Octopus Syng has been releasing psychedelicious songs of the trippiest sort since their Nasoni Records debut in 2004. On their latest album, Reverberating Garden Number 7, the band are the quartet of Jaire on guitar and vocals, Joni on guitar and backing vocals, Antti on bass, and Jukka on drums. The album consists of 11 songs and about 45 minutes. The promo sheet references Velvet Underground, The Doors, Jefferson Airplane, early Pink Floyd, The Beatles and Marc Bolan. Of those I’d say Syd era Floyd is one of the more overt influences, and well-crafted 60s UK Psych in general, though there are strong Folk influences as well. There are several compact songs in the 2-3 minute range that feature dreamy trippy acoustic driven Psych with spot on retro 60s production. And we’ve got bouncy, orchestral 60s Psych songs. Some of the tracks that take a couple more minutes to develop are among my favorites. Avant Garden starts off with shimmering Psych guitars, pulsating atmospherics, freaky effects, lulling melodies, and haunting vocals. Then the mood changes with a jazzy guitar lead before launching into a whimsically orchestrated chorus. It’s Prog-like in the way the music transitions through multiple themes. Ditto for Cuckoo Clock Mystery, which dances from the Beatles at their most lysergic, to searing sitar laced drone, jangly tra-la-la Pop-Psych, and more. Very Strange Trip is a flower-power Pop-Psych tune with an Eastern steeped vibe from the sitar. Reflections Of Time is a little different, being a dark and ominous instrumental that could be the soundtrack to a Psychedelic horror film. The melody is pleasant but at the same time threatening, with additional muscle provided by the fuzz guitar blasts. Wrapping up the set is the 9 minute Listen To The Moths, which originally appeared on the Regal Crabomophone 2014 Annual 7″. While I didn’t do a side-by-side compare, I think the album version might be a wee bit longer. It starts off as a gentle but rhythmic folky brand of 60s Psych. But after a few minutes the music blasts off into a heavier rocking but trippily angelic Psych tune, before coming in for a spaced out landing. I love the vocal harmonies which are gorgeously retro 60s. Jaire really stretches out on this one and we get some scrumptious guitar leads. 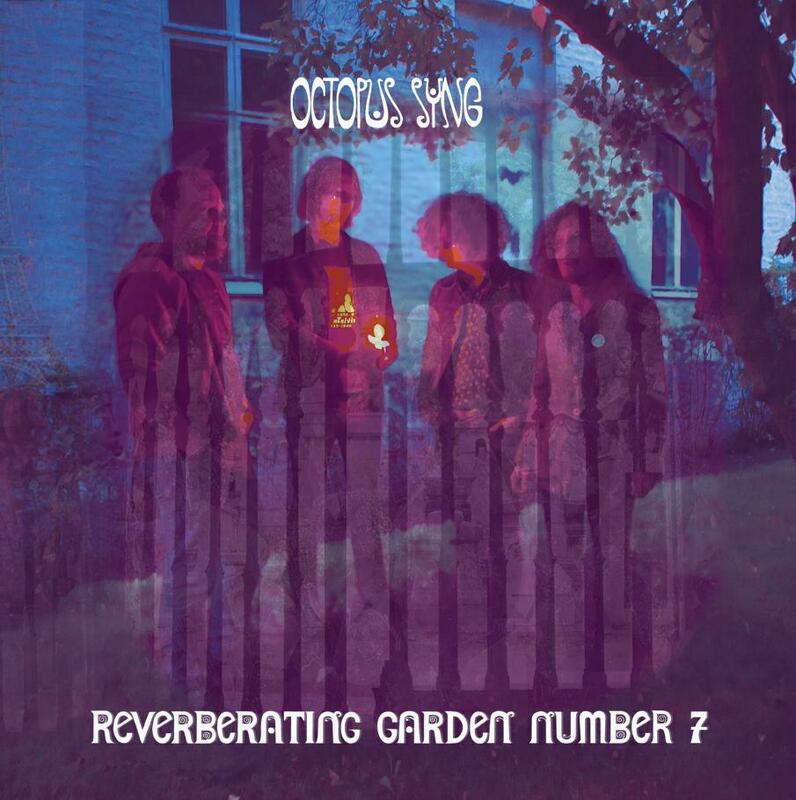 In summary, strong compositions and excellent production makes Reverberating Garden Number 7 a luscious experience and a delight for fans of 60s inspired Psychedelia.